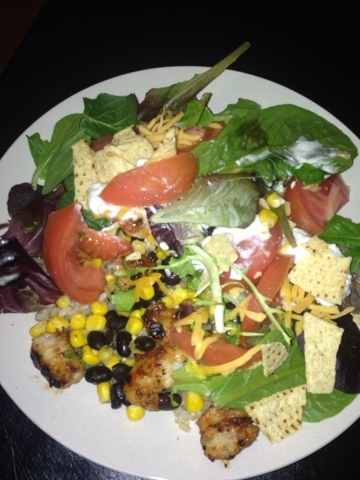 This salad was inspired by Chipotle... I had a taste for shrimp instead. I seasoned my shrimp in chipotle barbecue sauce then placed them on a regular salad, added some black beans, corn, shredded cheddar cheese, dab of plain Greek yogurt (sour cream substitute) and crumpled tortilla chips! YUM!